Section 180 (1) of the Australian Corporation Act (ACA) requires that the test for degree of care and diligence of a director in the discharge of his duties and exercise of his powers would be the same which a reasonable man would be expected in the same circumstances, if he would be the director of the company. Nowhere in section 180 (1), it is mentioned about the education or background of a person. Section 180 (2) has been provided as a safeguard in case of breach of the duty of care and negligence by the director of a company. But only if the following requirements of section 180 (2) are fulfilled by a director, then he can take the defense of this section to avoid his liability as a director for breach of a duty of care. He did not have any material interest on a personal front in the subject matter of his decision. He informed other directors of the company about his judicial decision. He logically believed that the decision taken by him was in the best interests of the company. Sections 182-183: provide that it is the duty of the director of the company that he should not take misuse or take advantage of his position or any information for his personal benefits or for causing detriment to the company. It is recognized as a conflict of interests of the director, arising due to his position of being a fiduciary in different companies. The common law prohibits the director to take advantage of his position for his benefit. Section 189 provides that if a director of a company relies on any information given by an employee of the company in good faith, whom he considers being reliable and acting towards the benefit of the company, then such reliance of the director upon that employee is considered as reasonable in law. that the delegated person was reliable and exercised his power carefully. Sections 1317S and 1318 of the Act grants powers to the court to provide relief to a director from civil liabilities if he fairly deserves to be excused. 1317 E: The ASIC can apply to the court to declare contravention of the breach of director’s duty. Section 26 (2) of the Corporate Affairs Commission: may impose a civil pecuniary penalty of $200,000 and if he makes a breach of the provision of civil penalty, then he may be subjected to criminal proceedings as well under the Section 184 (2) of the Corporation Act. Order for a pecuniary penalty. Section 206C: provides that the commission may disqualify a director from his position. At the time, the company incurred debt, he/she was director of that company. The company had been either already insolvent or became insolvent due to the incurring of debt. Any reasonable person, in similar circumstances, would be aware. He/she became unsuccessful in preventing the company from insolvent trading. 1. Question- Growfast Pty Ltd (Growfast) operates a wholesale nursery growing and selling garden plants. Sam, Peter, and Rose are the only shareholders and directors. Sam manages the company’s day-to-day operations. Peter, who left school at 14 and has no tertiary qualifications, is in charge of the nursery. Rose is a non-executive director who does not take an active part in the management or operations of the company. Until recently, Growfast has been very profitable. However, six months ago, a competing business opened nearby and since then Growfast’s profits have dropped considerably. Sam thinks that Growfast should move to larger premises in a different area. Without consulting Peter or Rose he starts looking for new premises and he decides the first place he inspects is perfect, although the price is more than Growfast can comfortably afford. Sam does not think this will be a problem, because there is no competition nearby and he expects that profits will recover immediately. Sam calls a board meeting and tells Peter and Rose that moving will solve all the company’s problems and that this property he has seen is absolutely perfect for Grow fast. He says they will have to act quickly as there is another interested purchaser. Sam does not tell Peter and Rose that he only looked at this one property. He is so enthusiastic that both Peter and Rose agree to the proposal even though Rose is doubtful, feeling that they are being rushed into making a decision without being given time to consider other alternatives. Peter agrees to Sam’s proposal without really understanding the financial implications. Growfast purchases the new premises but, because of continuing dry weather, its profits remain low. Rose is becoming worried about her obligations as a director, especially if Growfast’s financial position deteriorates any further. (iii) any possible liability for insolvent trading under s 588G if Growfast became insolvent. (b) Advise Peter as to his position in respect of any breaches of his duty of care and any possible liability for insolvent trading if Growfast becomes insolvent. a. (i) Rose does not seem to have fulfilled the conditions of section 180, 189 and 190. In spite of being suspicious about the circumstances, she did not try to inquire about the reasonableness of Sam’s decision with regard to the future aspects of shifting the nursery. She could take the defense of sections 189 and 90 only if he had done suitable precautions in ding inquiry about Sam’s decision and would have found Sam to be taking an appropriate decision in her opinion. Her carelessness amounted to breach of her duties as a director. In the recent case, James Hardie decisions: ASIC v Hellicar & Ors; Shafron v ASI, it was held that the several non-executive directors breached their duty of care and diligence in exercising their powers as directors and are expected to be cautious in the major decisions. In another case, Australian Securities and Investments Commission v Rich and Others, it was held, in spite of the fact that a director was a non-executive director, owing to his qualification and experience, he had a responsibility towards the corporation and also had the duties of a director and was thus accountable for breach of duty of care and diligence on his part. (ii) Hence, it can be said that Rose would be liable for breach of the duty of care and diligence as a director and would be liable for the consequences. In this case, although Rose had no dishonest intention or personal interest in the judgment decision taken by her, she had some doubt that the business judgment decision was being taken in a hurry. But, she did not take necessary precautions as required by section 1318. Nor did she herself believe that the decision was actually in the best interests of the company, as required by the last condition of section 180 (2). As demonstrated in a similar case, ASIC v Rich, It was held that it was not a reasonable explanation given by director that an important duty of financial transaction was delegated to a person and he completely relied on that person. It was held that the director did not act in a proper manner and with precautions. (iii) Hence, Rose is not likely to be protected under section 180 (2) and would be held liable for breach of her duty. In the given case, Rose already suspected about the decision of Sam and had reasonable grounds to suspect that the company would become insolvent. In spite of all the existing circumstances and the doubts, rose failed to take any steps to prevent the company from insolvent trading and supported Sam in trading, while the company incurred debt. Thus, Rose would be liable for insolvent trading under section 588 (G) as mentioned above. (b) Thus, the situation of Peter would be the same as that of Rose, in case the company becomes insolvent. The lack of education of Peter will not make any difference. In a similar case of Gamble v Hoffman., the director was not allowed to take the defense of the ignorance and lack of education to avoid his liability. Rather, due to lack of understanding of Peter, he would probably not be able to take the defense of section 189 and 190, as he was not in a position to delegate the powers to Sam. In the case of insolvent trading also, he would be able to take the defense of section 588 (H) more appropriately. His ignorance would prove beyond reasonable doubt that he did not take part in the proceedings of the company. Peter will not be able to take the defense of sections 189, 190 but will be able to take of section 588 (H). 2. Question-Roger is a director of two companies: BHT Pty Ltd and Rubicon Pty Ltd. Both companies are in the business of property development. Whilst on a business trip for Rubicon in the United States he comes across a development site which he purchases by paying a deposit. He indicates on the contract of sale that the purchaser is BHT Pty Ltd. The development site was sold for $2.5 million. Roger justifies his purchase of the site for BHT on the basis that Rubicon could not afford the site anyway and would most likely not be interested in developing a site overseas since all of their properties are located in Australia. (a) Is Roger in breach of his directors’ duties with Rubicon Pty Ltd? (b) Does Roger have an arguable defense? In your view would his defense succeed? (c) What could Roger do now to prevent any further repercussions under the Corporations Act? (d) Could the Australian Securities and Investments Commission (ASIC) take action against Roger? (a) Roger made a breach of duty under section 182-83. He misappropriated the opportunity provided by Rubican Pty Ltd and bought a development site for BHT Pty. Ltd. He had the fiduciary relationship with the Rubican Pty. Ltd. on account of his position as a director of the Rubican. He misappropriated that relationship and took advantage of that position for buying property for BHT Pty Ltd. and it can be assumed that he did that for personal profits. As it was held in the Regal (Hastings) Ltd v Gulliver, that irrespective of the intention of a person if a person gains profit on account of being a director of a company and takes advantage of his position, liable to pay for that profit. Thus, Roger made a breach of his duty under section 182-183 of the Australian Corporation Act and would be liable to pay for the profits made by him and civil proceedings may be initiated against him. (b) In Permanent Building Society (in Liq) v McGee, the court took a strict view that if director being the director of two companies, intentionally did not disclose the lack of resources of one company to pay the loan to another company and allowed the other company to give loan to the first company, he made a breach of fiduciary duty and was liable for the breach. It was held by the court in the case of ASIC v Vizard, that if Vizard misused confidential information of the company owing to his directorship, he was guilty of breach of his duty under section 183. The court disqualified him from managing activities and also made him pay a pecuniary penalty. Similarly, Roger is not likely to succeed in his arguments and may have to suffer the civil and/or criminal penalties. Hence, Roger may be directed by the court to pay for damages as compensation for the loss suffered by the company along with a fine and he may also be removed from the position of director along with a 5 years imprisonment. (d) Thus, based on above laws of Section 26 (2), 206 (C) and 588 (G) of the Act, the Commission can demand for disqualification of Roger from the position of directorship, apply to the court for declaring contravention of breach of director’s duty by Roger. Moreover, if the prosecution otherwise fails, ASIC has the power to initiate the civil proceedings separately, in case if it desires to pursue the civil remedies against Roger along with the order of pecuniary liability. Gilligan, G., Bird, H., and Ramsay, I. (n.d.). Regulating Directors’ Duties: How Effective are the Civil Penalty Sanctions in the Australian Corporations Law?. SSRN Journal. Lowry, J. (2012). The Irreducible Core of the Duty of Care, Skill, and Diligence of Company Directors: Australian Securities and Investments Commission v Healey. The Modern Law Review, 75(2), pp.249-260. Langford, R. (2011). The Duty of Directors to Act Bona Fide in the Interests of the Company: A Positive Fiduciary Duty? Australia and the UK Compared. J Corp Law Studies, 11(1), pp.215-242. S., N. (1961). The delegation of Duties by Corporate Directors. Virginia Law Review, 47(2), p.278. Tomasic, R. (2001). Governance and the evaluation of corporate law and regulation in Australia. Corporate Governance: The international journal of business in society, 1(3), pp.24-32. Ratcliffe, T. (2008). The Companies Act 2006 and key changes to the duties of directors. Strategic Direction, 24(5). Farrer, J. and Ramsay, I. (1998). Director Share Ownership and Corporate Performance – Evidence from Australia. Corporate Governance, 6(4), pp.233-248. 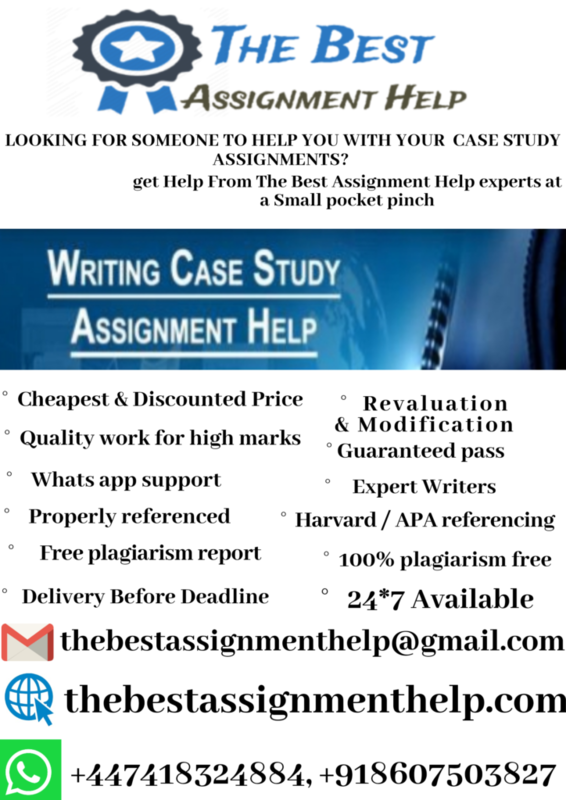 thebestassignmenthelp.com is the ideal place for students, who often wonder, ‘who can write my assignment for me’. The reason is, we have a pool of highly skilled and knowledgeable experts, who prepare the highest quality academic papers in all domains. So students don’t need to waste their time in searching, ‘can someone do my assignment perfectly in Australia’, instead they can place the order for getting assignment help from experts based in Sydney, Melbourne, Brisbane, Perth, etc. They are guaranteed to receive premier quality assignment help at an affordable rate in Australia.